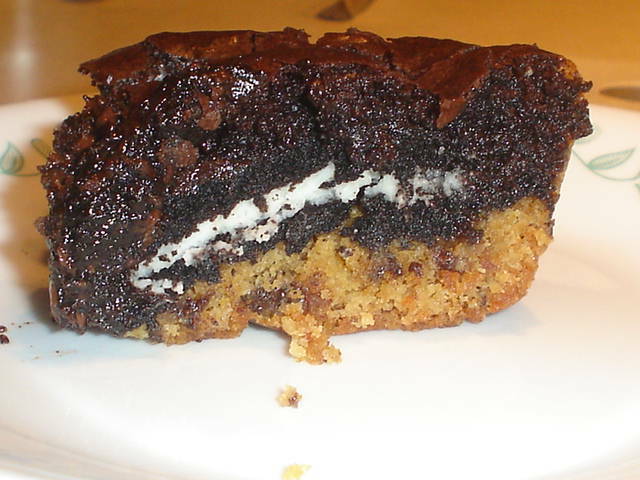 The Londoner’s Slutty Brownies have inspired my latest creation: Midnight Madness Brownies. 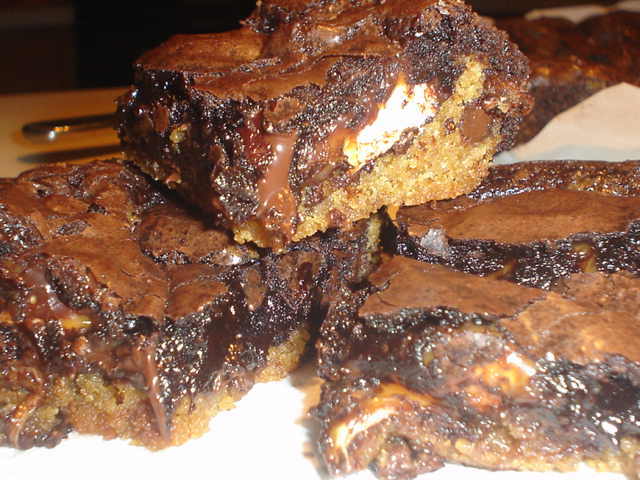 These take chocolate and decadence to a whole new level! 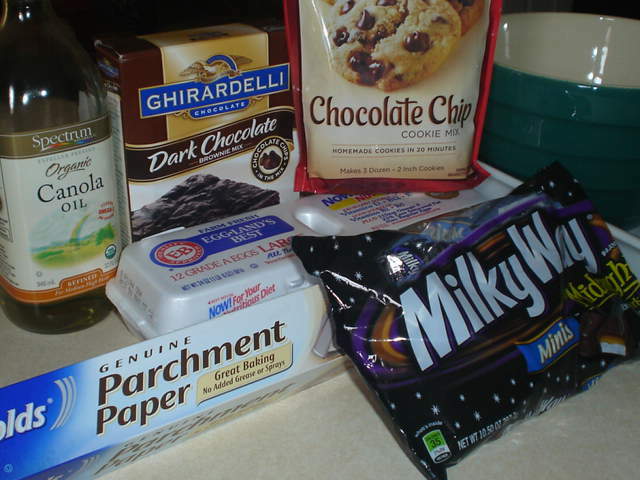 Since I’m making these on a Monday to share at my monthly Social Studies Department Meeting tomorrow (meetings are always better with chocolate), I am taking the store-bought short-cuts on cookie mix and brownie mix. 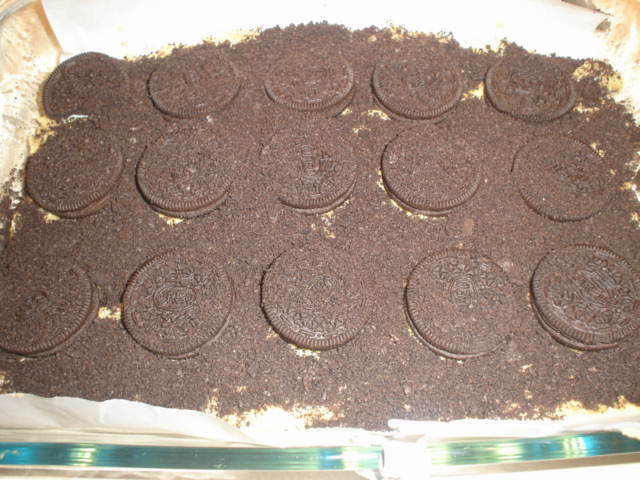 If I were concocting these on a weekend, I would probably make scratch versions of the cookie layer and brownie layer. Preheat oven to 350 degrees. Line your pan with parchment paper. I used a 9 x 13 pan this time. Spray the sides not covered by parchment paper with cooking spray to help the brownies slide out when you’re ready to cut. 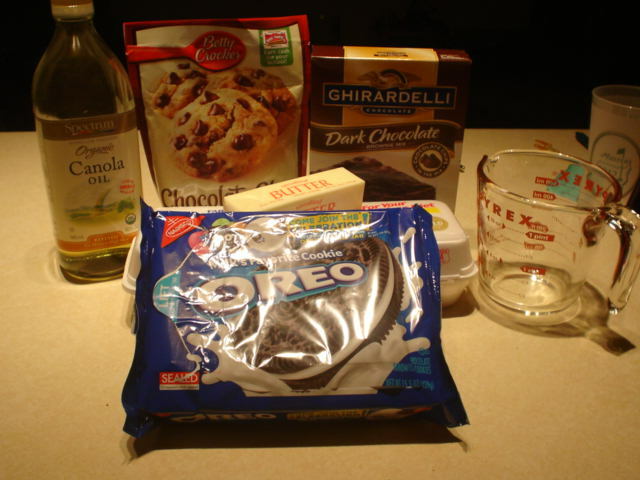 Mix the cookie mix according to package directions. You will want to add an extra teaspoon each of oil and water than what is in the directions to keep this layer moist while baking. 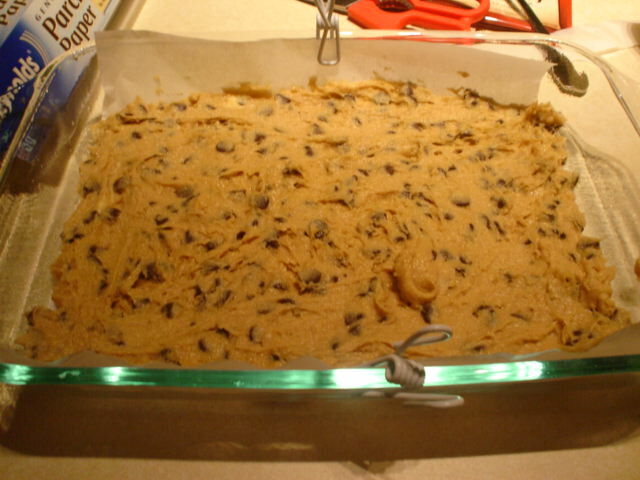 Spread the cookie dough on the bottom of the pan – the dough will be a bit sticky. Helpful hint: Keep the sides of your parchment paper long and clip to the side of the pan as I did. It keeps the paper from sliding and makes spreading so much easier!! 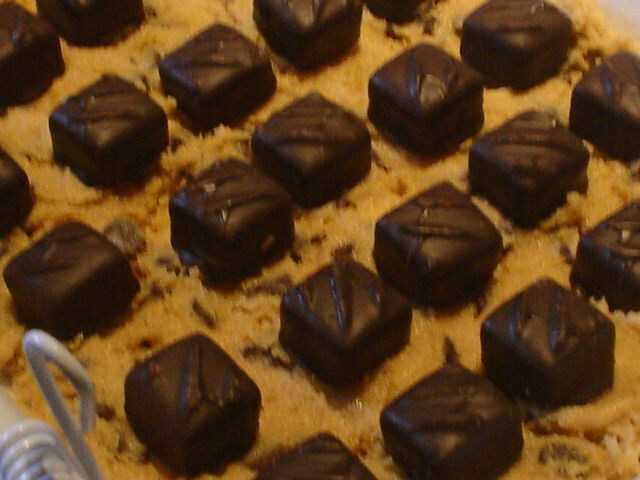 Unwrap and place your Milky Way Midnights on top of the cookie dough layer. This is the most tedious part because you need to unwrap each candy and it takes almost the entire bag to make this layer. I wish these didn't have wrappers on them - it took awhile to unwrap them all! Mix your brownies according to package directions. Tip: Crack your egg into a smaller bowl instead of the bowl with your ingredients. It is much better to throw out 1 bad egg instead of an entire bowl of ingredients! 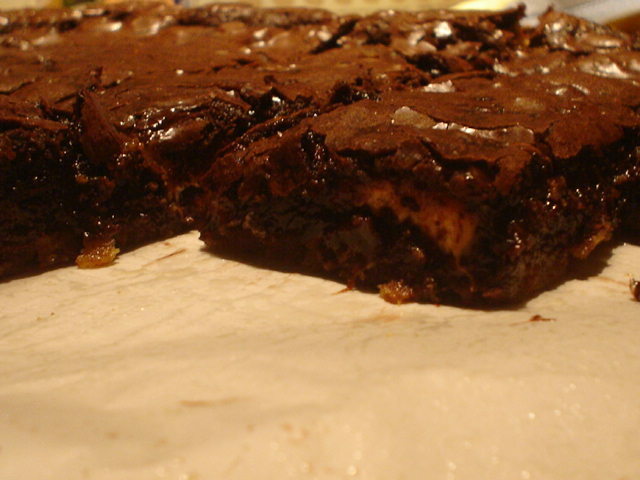 Pour your brownie batter over the Milky Way Midnight layer and make sure to cover completely. Put pan in the oven and bake for 30 minutes. 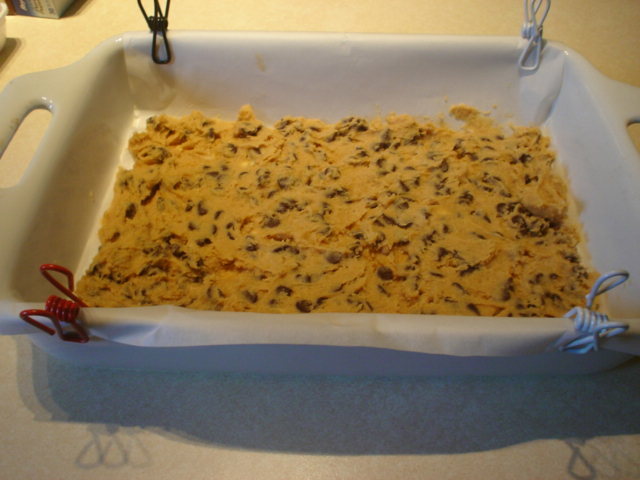 Allow to cool in pan for at least 30 minutes. 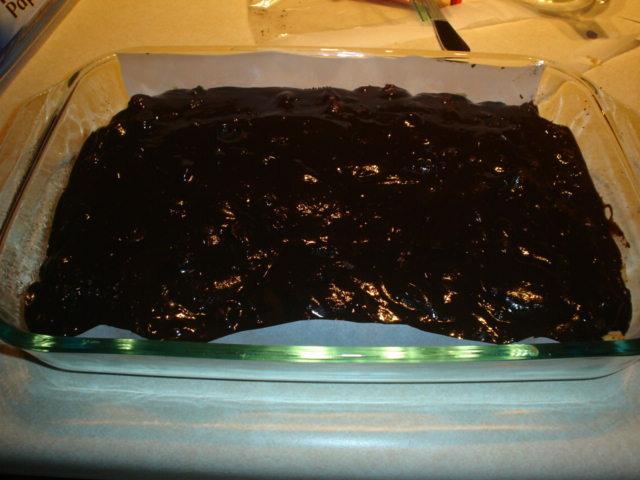 Grab sides of parchment paper and slide the brownies out of the pan. 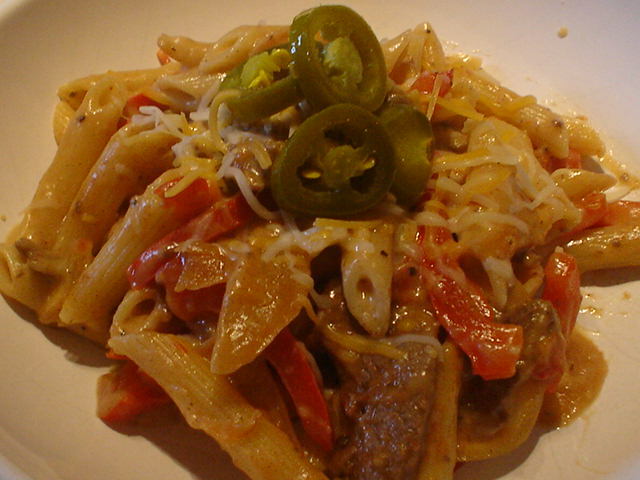 It is much easier to cut these when they are not in a high-sided pan. Cut into whatever size bars you desire and enjoy! 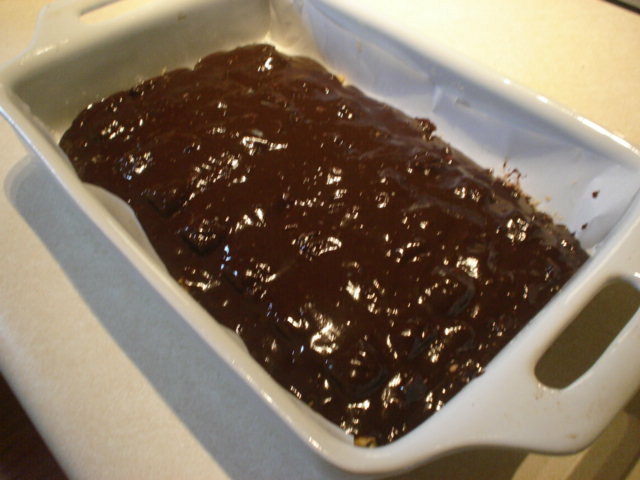 I love seeing the caramel and nougat from the Milky Way Midnights in the brownies! 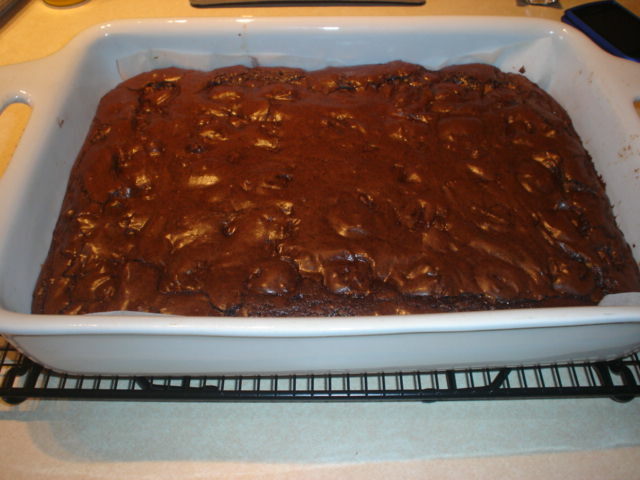 I hope that you try these brownies and enjoy them as much as I do! 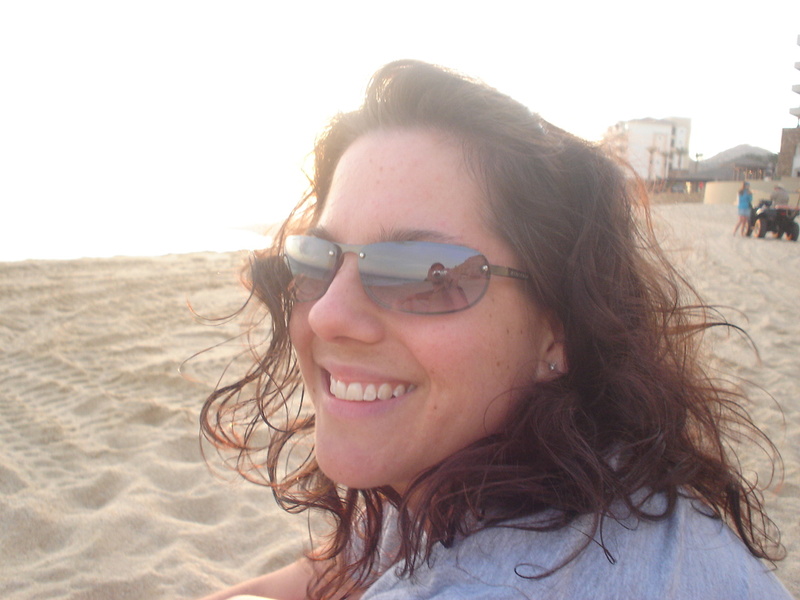 This article really stood out to me because I love using technology with my students. As an educator in the 21st century, it is my duty to expose my students to different forms of technology that they will use in their lives. There are so many tools/devices/programs out there and it is easy to become overwhelmed trying to incorporate all of them into lessons. Plus, access is an issue when you only have a few computer labs and 1 set of iPads for an entire school. I am a member of my school’s iPad Implementation Team (a team to develop best practices for using our iPad cart with students). Recently I have had my students create “Video Letters” from the Civil War with iPads (we will finish the projects after spring break). It has been an adventure for all of us! As often as we are told that our students are digital natives, this concept loses some of its meaning in a high-poverty school where many students do not have access to technology outside of the building. Surprisingly, using iPads and computers often hinders learning activities because students need so much guidance on proper use of these devices and the programs/apps on them. If you are a teacher searching for authentic ways to use technology with your students, this article provides resources that will guide your planning. I encourage you to check it out and start your own classroom technology adventures!